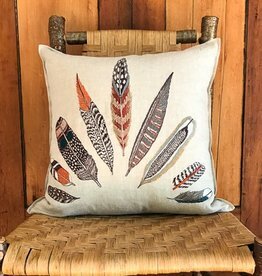 This handsome linen pillows is embroidered with images of hawk, eagle, falcon, and owl feathers. Brings a modern naturalistic touch to all decors. 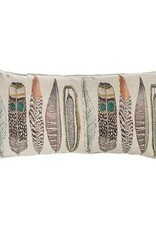 Pillow has a 95% small feather, 5% down insert. Cover fabric is 100% natural linen. 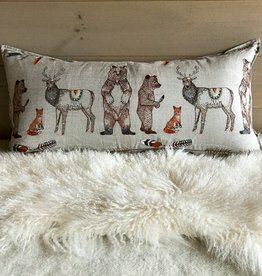 Cozy up with an animal parade! 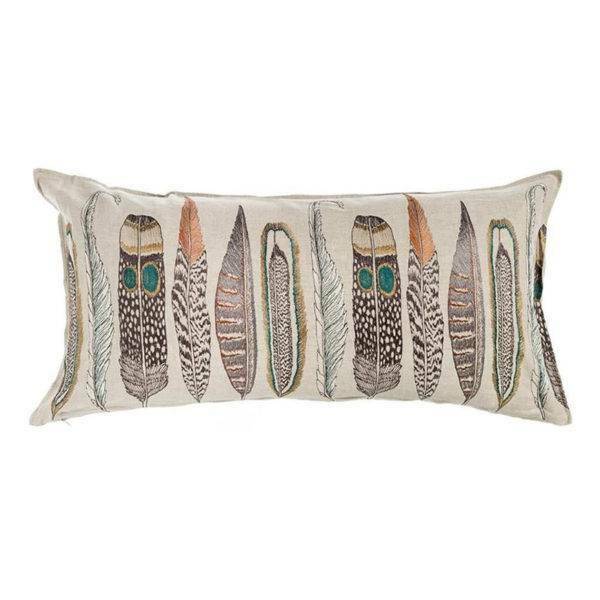 Adorn your home with astonishing plumage!